In our design studio we’ve been looking to replace a rather large storage unit with something smaller. The room doubles up as a work space and a guest bedroom but space is of a premium. 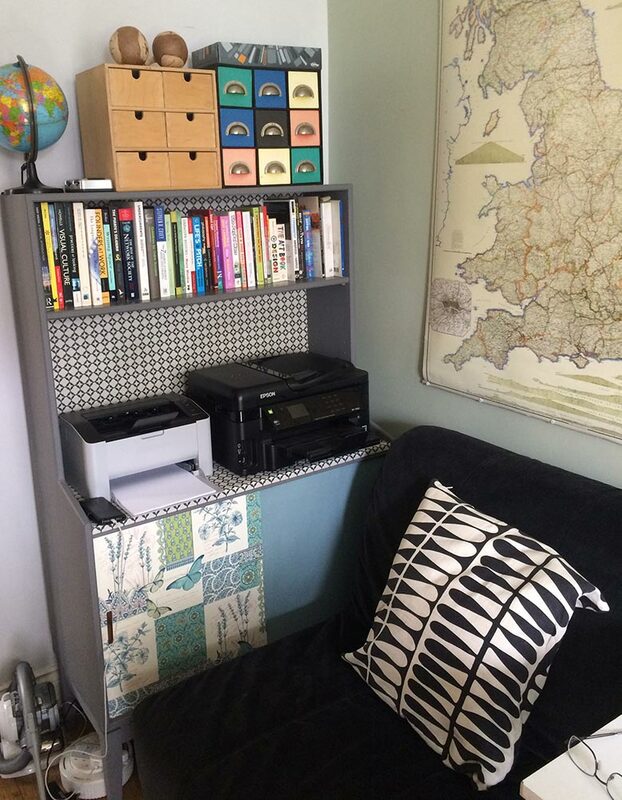 The old piece of furniture we wanted to replace, although useful, did take up too much space and was a good excuse to hoard ‘stuff’ that didn’t really need to be there. So we wanted to find something smaller, that was cheap and we could ‘do up’. 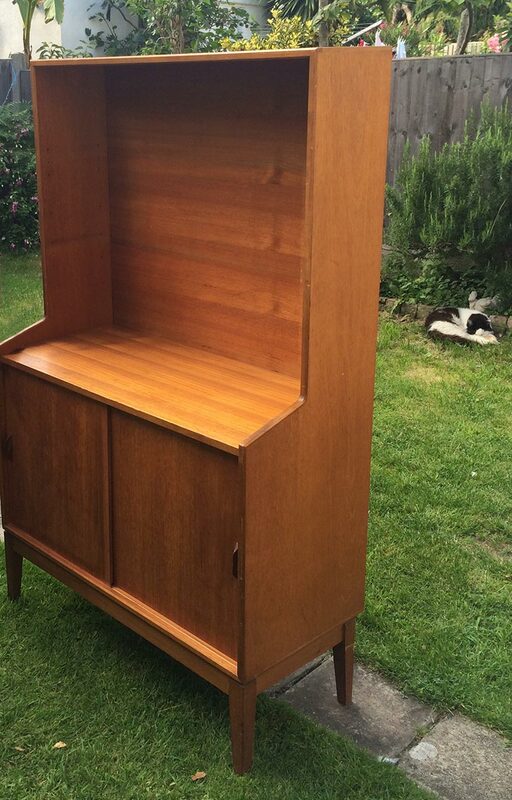 In the local area, there are a large number of secondhand, house-clearance shops that I regularly browse around. We visited one of these shops that has a huge amount of furniture stacked floor to ceiling. 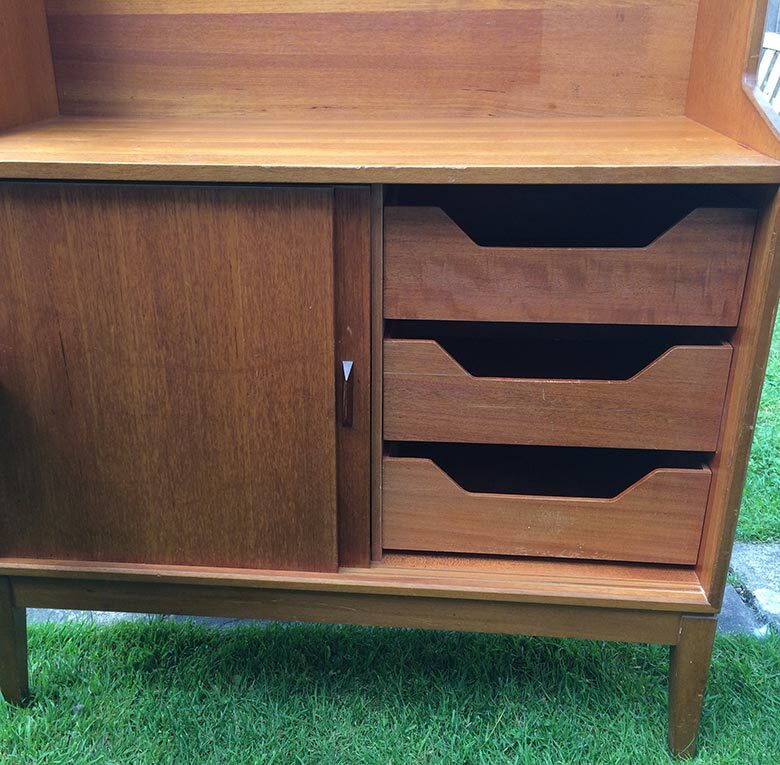 And it’s here where we found our mid-century sideboard. The top section had two shelves (which I took off to paint). The bottom sliding cupboard had shelves on the left and three drawers on the right. I began by mixing a chalk paint solution using plaster of paris and grey emulsion. I lightly sanded down the furniture and applied the paint to the back and sides. 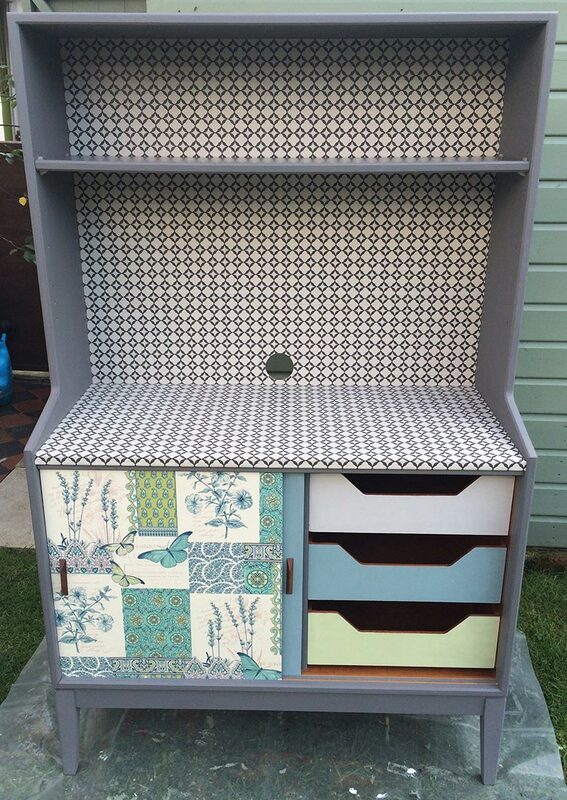 Once that had dried I pasted wallpaper on to the top section and front cupboard door. 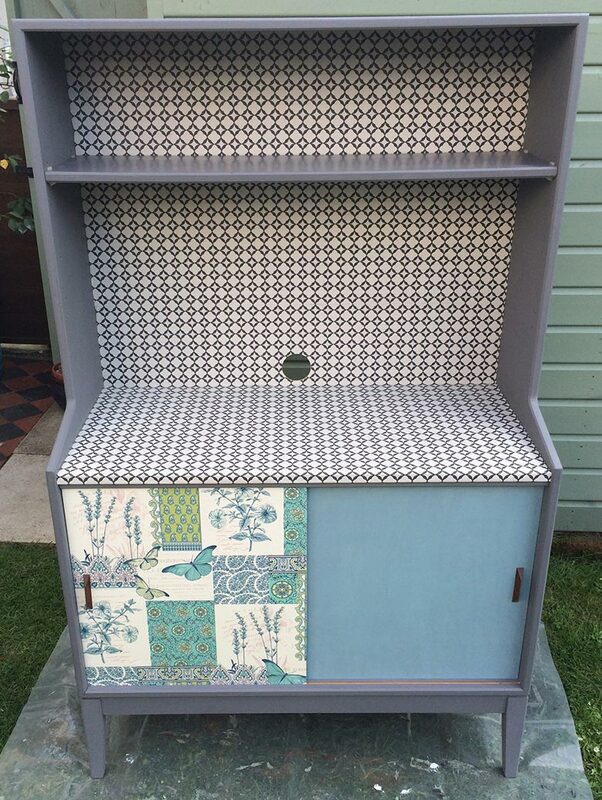 The back cupboard door and drawer fronts were also painted in a chalk paint solution using colours to compliment the wallpaper. As we’ll put the printers on the bottom shelf we drilled a large hole in the back to feed the cables through.